Junk mail is frustrating and a disruption to your email messaging system. It has the potential to take up all of your storage space and can be tedious to sort through. There is also an added risk of contracting a computer virus by accidentally opening a malicious email. 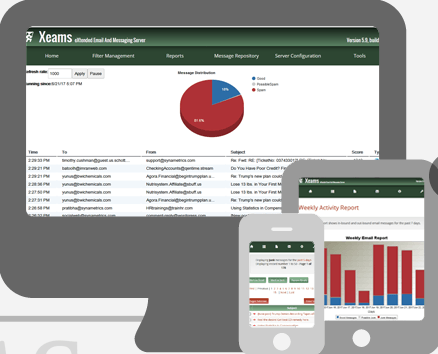 Synametrics Technologies has created a solution to combat junk emails with Xeams. 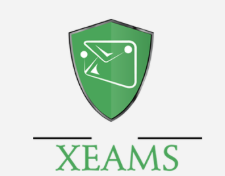 Xeams is an email messaging and anti spam system that eliminates 99% of junk mail from your inbox upon installation. Xeams offers customizable filtering rules to adapt to exactly what you need and automatically filters through the messages you receive to determine whether they are relevant or spam. The longer you use Xeams, the better it adapts to your email environment., giving you the best email messaging experience possible for your specific needs. So, how do you get your head start cleaning out your mailbox? You can download Xeams by clicking here. Xeams comes in two editions, Community and Enterprise. The Community edition is recommended for home use only, while the Enterprise edition should be run in a business environment. Remember, Xeams can be used by a company of any size and works on Windows, Linux, Solaris, MacOSX and other forms of UNIX. Also, this program supports SMTP, IMAP, and POP3 protocols. To find out more about Xeams and Synametrics Technologies, visit our website or contact us via phone or email.